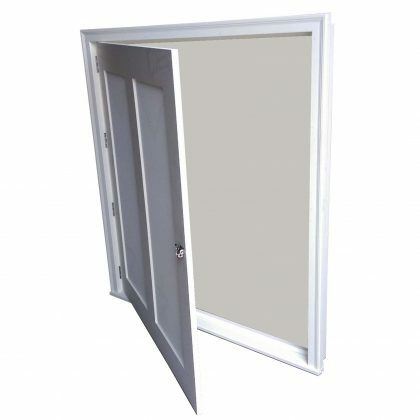 Access doors custom made in all sizes. Several styles available. Interior access doors are made with clear primed wood and ready to be painted with a top coat. The exterior access doors are made with all PVC for more durability to the weather and comes complete with brick mold for a more finished appearance. All Access Doors come already assembled on hinges and frames, ready to be installed. All doors are unique in size and type. Doors can be shipped through-out the U.S. and Canada for an additional charge. Please provide the rough opening frame size when requesting a quote.